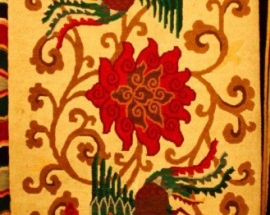 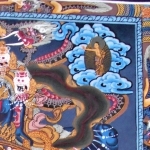 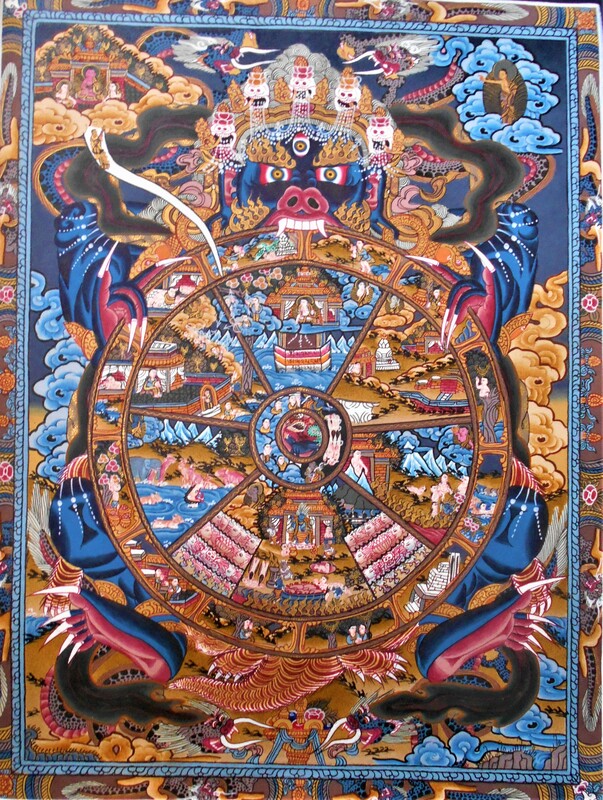 The very center of the thangka shows animals representing the 3 poisons. 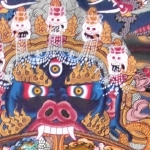 People create their karma by acting through these poisons. 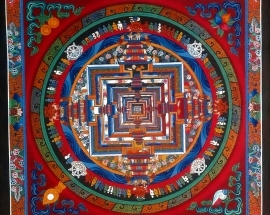 The thin ring around the center represents people ascending in consciousness on one half (white), and people descending to lower consciousness in the other half (dark). 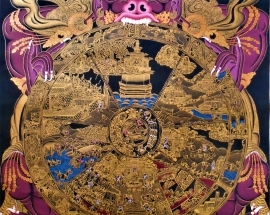 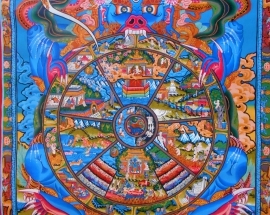 The large divisions within the wheel show the six realms of samsara. 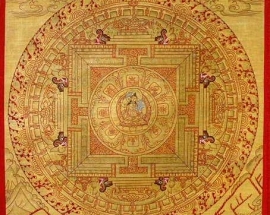 The higher god-like states of being are in the top half, and lower hell realms are in the bottom half. 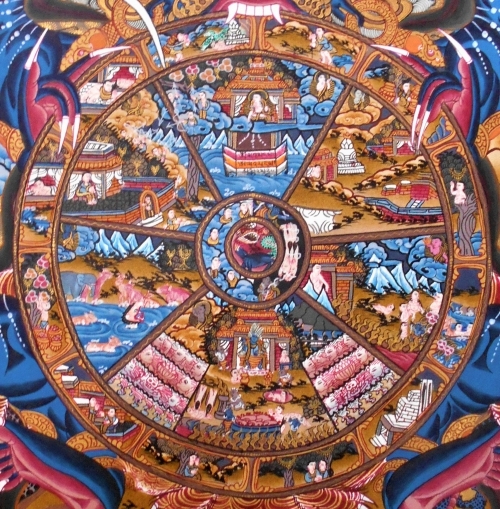 These are the various states of being that a person can find themselves in during their lifetime. The outer rim of the wheel shows the 12 causal links, more specific activities that show how people get trapped among the six samsaric realms. 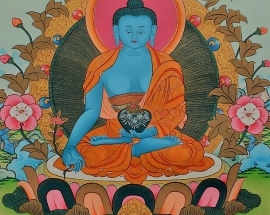 They are basically a lesson in cause & effect, the essence of karma. 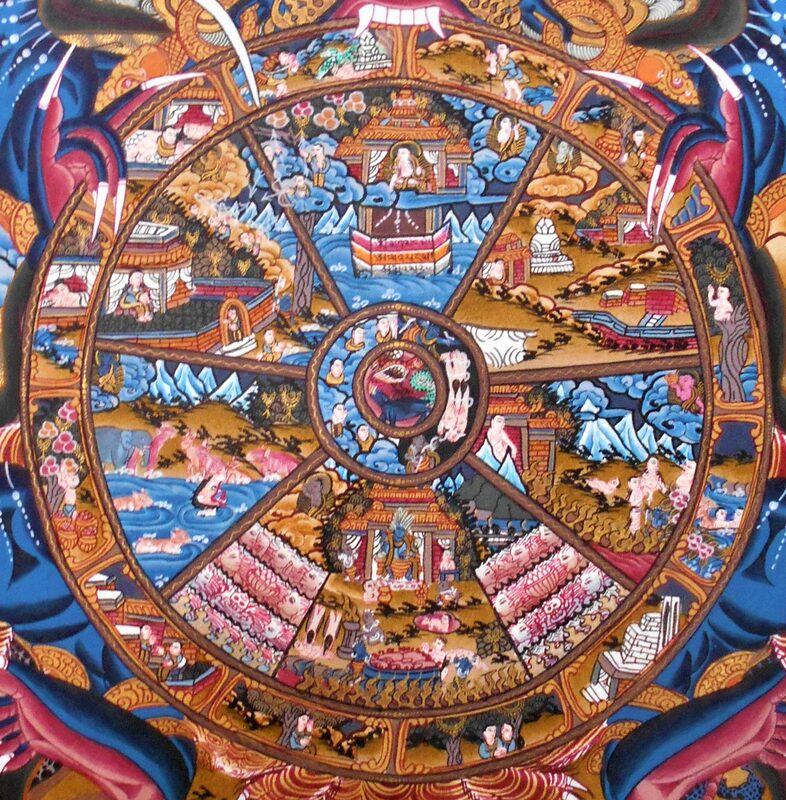 Our thoughts and actions affect our being, and without awareness, we are stuck in habitual or destructive behaviors. 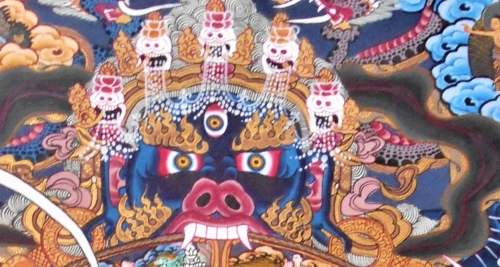 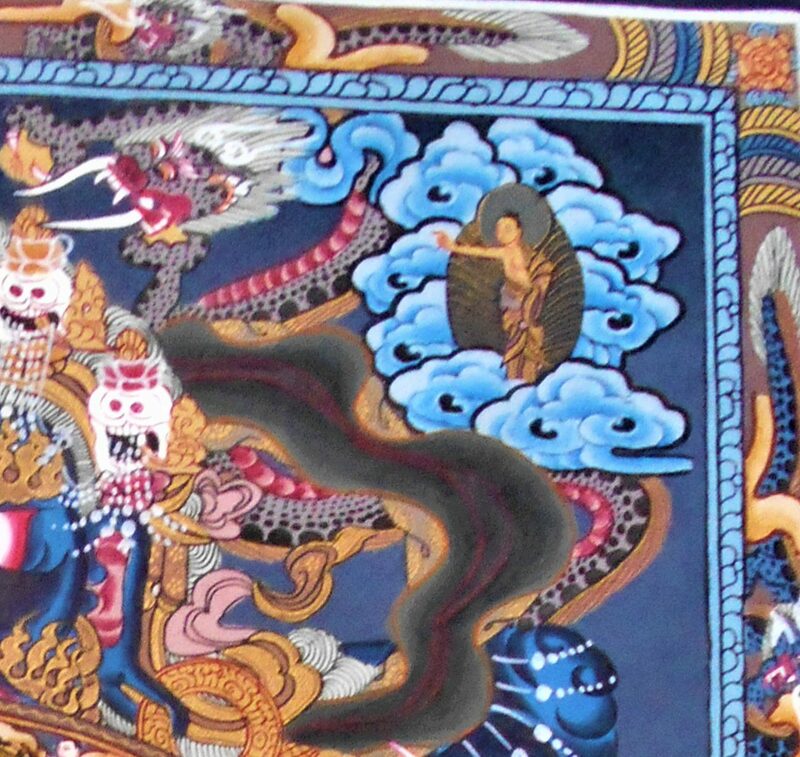 The giant demon holding the wheel is Yama, Lord of Death, representing impermanence & the transience of life. 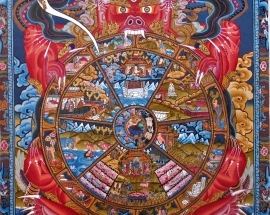 Finally, the Moon on the upper left represents liberation from the suffering associated with samsaric existence. 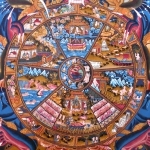 It is possible to break the cycle of karmic conditioning and habitual behavior & thinking, to attain a state of Nirvana. 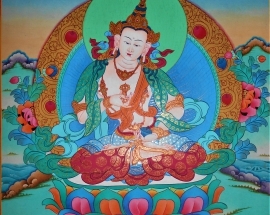 This is the state in which suffering from unsatisfactory experiences ceases to arise, due to a more peaceful & conscious state of mind. 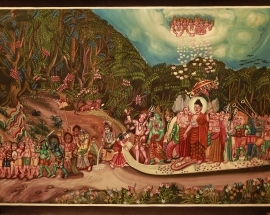 The Buddha in the upper right points the way to the Moon, representing liberation. 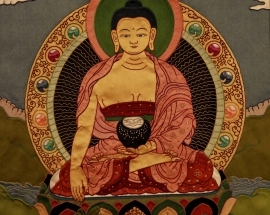 He pointed the way to this liberation through his teachings. 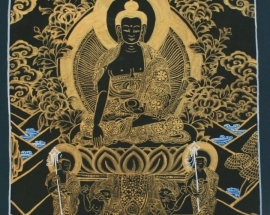 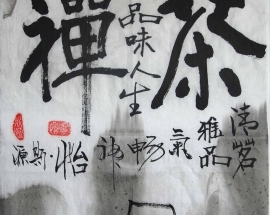 The Four Noble Truths are the description of the problem of suffering, and The Eightfold Path is the Buddha’s prescription to alleviate this suffering. 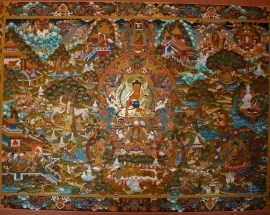 Thangka, like these, are the way to graphically depict profound teachings, in a way that people can easily understand. 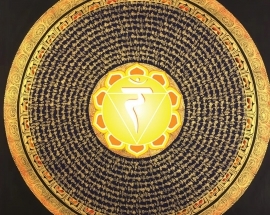 They are meditation aides that should be carefully studied, understood, and pondered to cultivate a higher awareness and deeper consciousness.